The Trans-Pacific Partnership (TPP) may not be dead in the water, but it’s struggling to stay afloat now that Senate Majority Leader Mitch McConnell (R-Kentucky) has said he’s not willing to serve as its lifeguard. McConnell said he will not bring the TPP up for a vote in the Senate this year. "The current agreement, the Trans-Pacific [Partnership], which has some serious flaws, will not be acted upon this year," McConnell said at the Kentucky State Farm Bureau breakfast on Thursday, The Hill reported. The Obama administration’s signature trade deal to establish regulations between a dozen countries in the Pacific Basin has been largely negotiated in secret. Its opponents say these regulations would undermine jobs in the US and work to the benefit of corporations rather than the 12 nations’ workers. McConnell wasn’t willing to kill the deal completely, however, saying that it could see a vote in 2017 if some changes are made. "It will still be around. It can be massaged, changed, worked on during the next administration," he said. 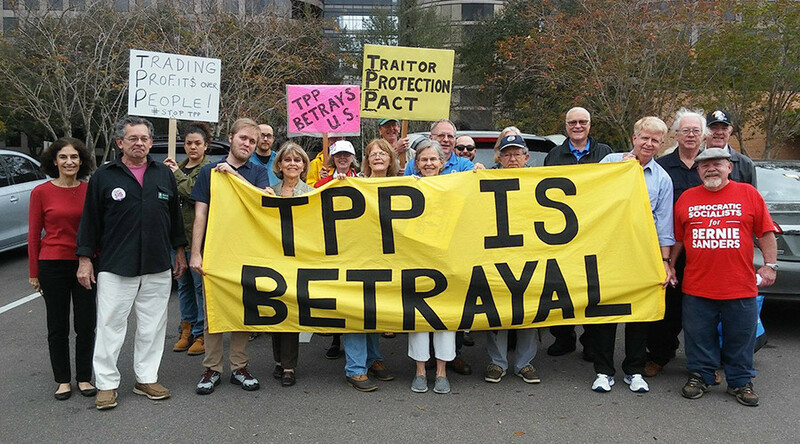 The controversial TPP has made for some strange political bedfellows. Both presidential candidates have come out against the deal, although Democrat Hillary Clinton supported it while serving as secretary of state during President Barack Obama’s first term in office. A number of senators from both sides of the aisle oppose the agreement, including Clinton’s vice presidential nominee, Tim Kaine (D-Virginia), and Republicans facing tough reelection battles like Pat Toomey of Pennsylvania. “I hope America will stay in the trade business," McConnell said. "To do that, it's going to have to be done on a bipartisan basis." On Thursday, Representative Joe Crowley (D-New York), vice chair of the House Democratic Caucus, said that the “onus is on the Republicans” to pass the bill through the end of the so-called “lame duck” Congress by the end of the year. However, Speaker Paul Ryan (R-Wisconsin) said earlier in August that he doesn’t see a point in bringing the TPP up for a vote because "we don't have the votes," Reuters reported. 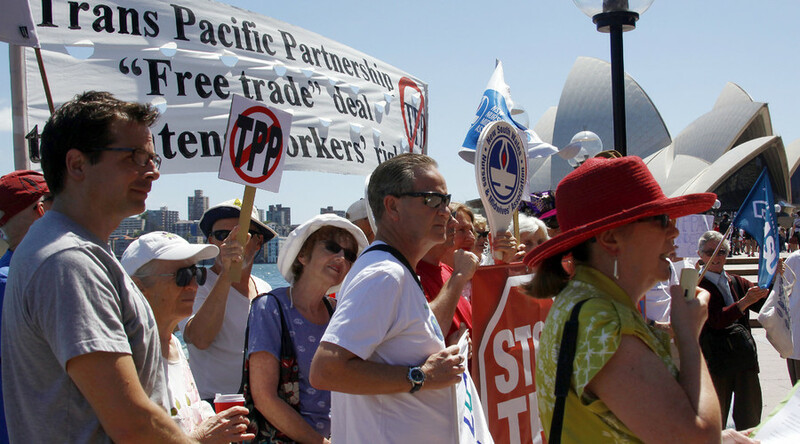 The TPP has also strengthened divisions between typical foes. Last Thursday, UPS CEO David Abney threw his weight behind the deal. Meanwhile, union members employed by the US Postal Service, a rival of UPS, gathered in Miami, Florida on Wednesday to officially oppose the TPP. Although McConnell helped Obama muscle a related trade agreement, the Trade Promotion Authority (TPA), through the Senate last year, he’s not sure he wants to put himself in the same position with the TPP. The TPA gives the president the ability to fast-track multilateral deals like the TPP through Congress. 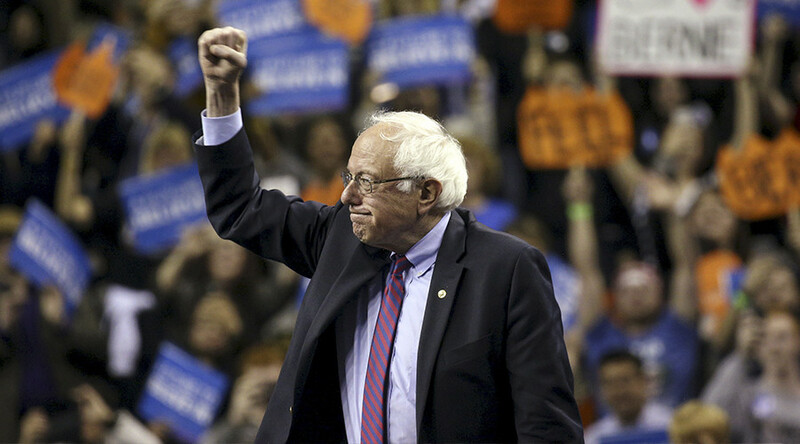 "I was aligned with Barack Obama against [Senator] Harry Reid [D-Nevada] and [House Minority Leader] Nancy Pelosi [D-California]," he said. "Almost an out-of-body experience, now that I think about it." 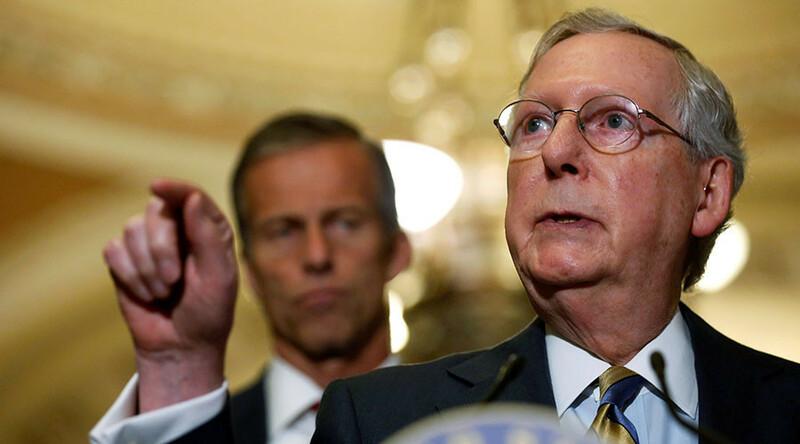 McConnell’s pronouncement was the inevitable conclusion to his hesitancy about the TPP. He has previously said that the chances of the deal receiving a vote during the “lame duck session” were "slim" or "bleak."